Below are a list of education related projects such as field trips, events, and supplies; new & gently used books; summer camp experiences; and school supplies. You can visit each project page to learn more! At Grandma's Gifts, we work to provide school children educational opportunities and supplies. Educational opportunities include things like field trips to museums, zoo's, and aquariums or the opportunity to participate in a science fairs or other local educational events. Educational supplies include everything from computers and software to beakers, magnets, magnifying glasses, and other science equipment to reading guides, stickers, and more! After the floods in 2002 that literally washed Appalachian towns down mountainsides ended and the damage was surveyed, it became more apparent that everyone needed some help. Originally a Make-A-Difference Day project, the Rainbow Project is now an annual Grandmas Gifts event. 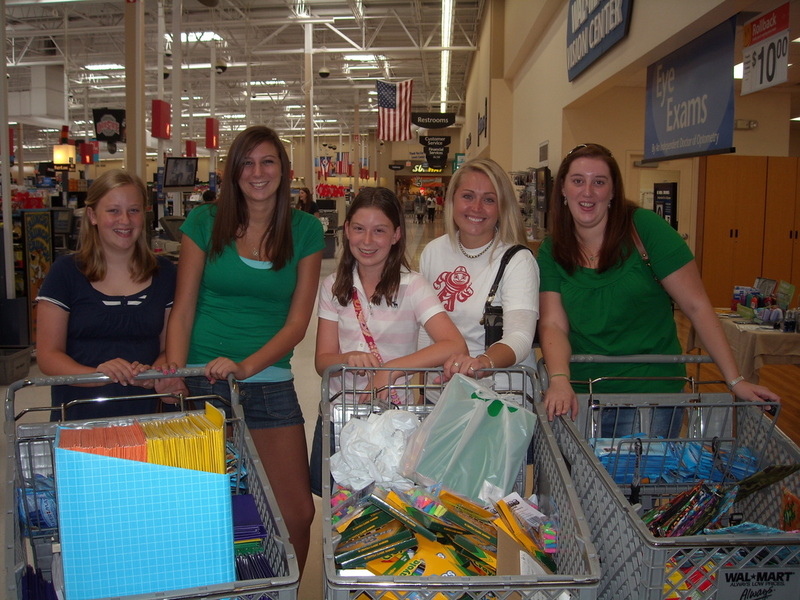 We collect school supplies for children and schools in need and distribute them at the beginning of each school year. The donations that started as the light at the end of the storm continue to illuminate the path for students today. Thus, the Rainbow Project was born. While most kids dream of a summer without school, some head to the Academy of Excellence to pack a little more knowledge into their brains! The Academy of Excellence program is a 10 day summer camp program for talented and gifts children grade 1 through 6, run by Ohio University Southern Campus in Ironton, Ohio. Here students pick the classes they want rather than ones they have to take. Some head for the science or computer lab; others to the clothing design lab, art room or cooking class; while some learn about history and other explore foreign cultures and food or the magical world of Harry Potter! Grandma's Gifts provides scholarships to children in need identified by their school's counselor. We have provided scholarships for this fantastic program for more than 20 years! What began with asking friends and neighbors to donate books as they clean their closets and shelves each spring has grown into a project resulting in the donation of more than 700,000 books to Appalachia. Collections of books have been placed in hospitals, schools, battered family shelters, health clinics, child welfare agencies, head starts, community action organizations, and bookmobiles. Now, in addition to the community drives, books are donated by publishers, retailers, individuals, schools, libraries, and businesses all year long. Distribution channels have been set and Grandma’s Gifts is constantly supplying Appalachia with new and gently used books!